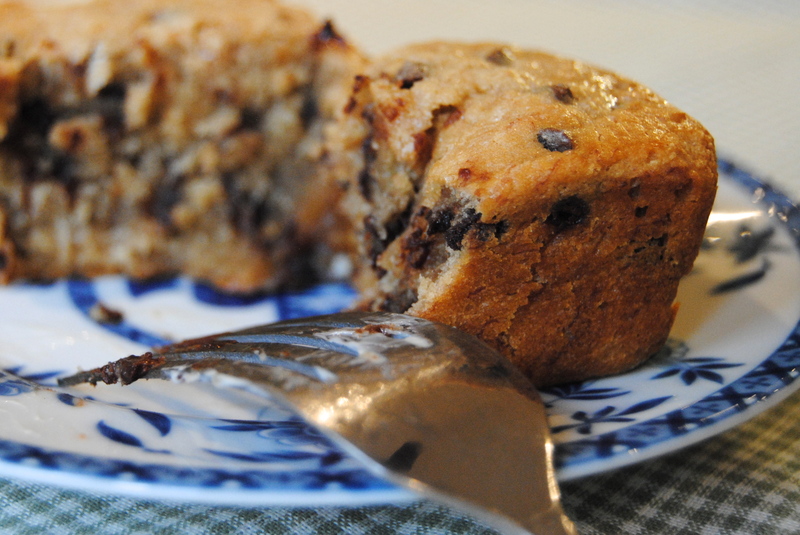 I decided to take my new mini-loaf pan for a spin this morning with a new recipe. The three browning bananas on my counter have been calling my name but I thought I’d go for something other than your standard banana bread. And as I was thinking about bananas, old memories of peanut butter, banana and honey sandwiches came to me, and so that was my inspiration for this bread. 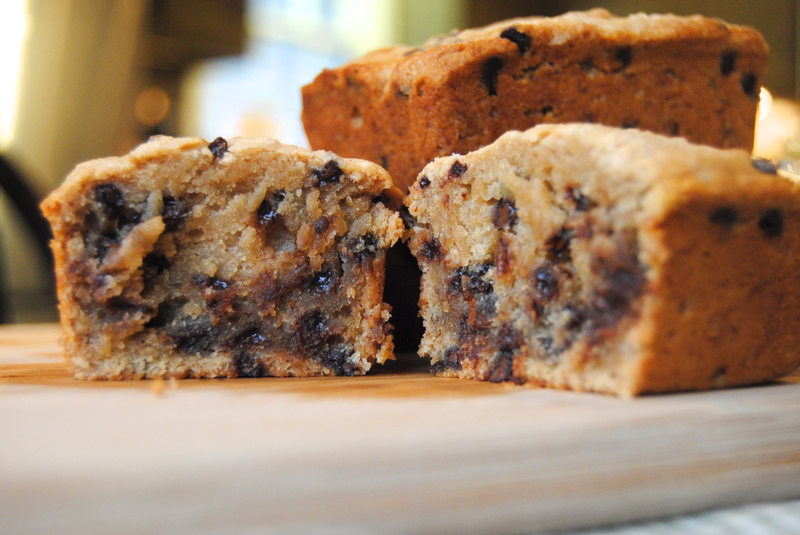 I added chocolate chips, because well, I like chocolate, so why not? The bread turned out really good. It’s moist, it’s heavy, and rich, and the peanut butter makes it stick to the roof of your mouth. 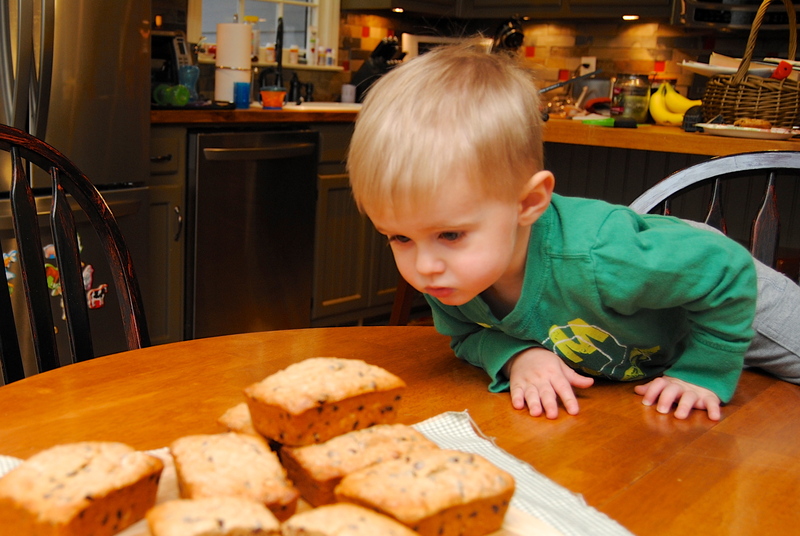 My little taste-testers (Brogan and Beckett) also approved. 1.) 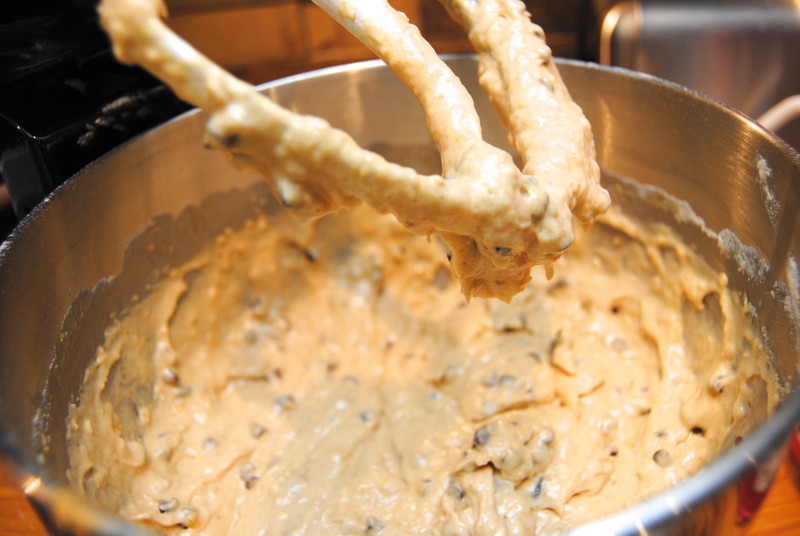 In an electric stand mixer on the lowest setting, add bananas, butter, brown sugar and peanut butter and beat until smooth. Then add egg, vanilla, honey and buttermilk. 2.) In a medium size bowl, combine oatmeal, flour, baking soda and salt. Mix together and then slowly pour into the liquid mixture. Beat until fully incorporated. Stir in chocolate chips. 3.) 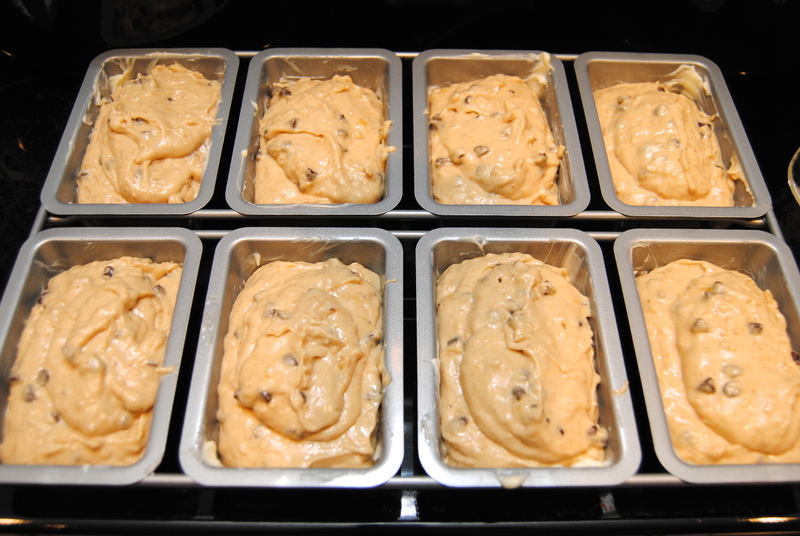 Pour into 8 buttered mini loaf pans or 1 standard loaf pan. 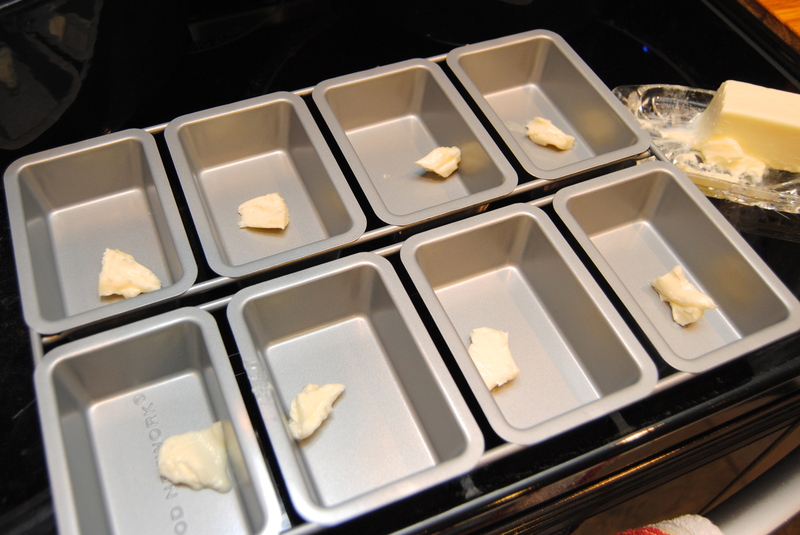 Bake in a 350 degree oven; about 30 minutes for the mini loaf pans and about 1 hour for the standard. Insert a toothpick in the center of the bread to test if it’s done. To butter the pans, I placed a little bit of softened butter in each loaf pan and then rubbed it around with a paper towel. The loaves slid out very easily. 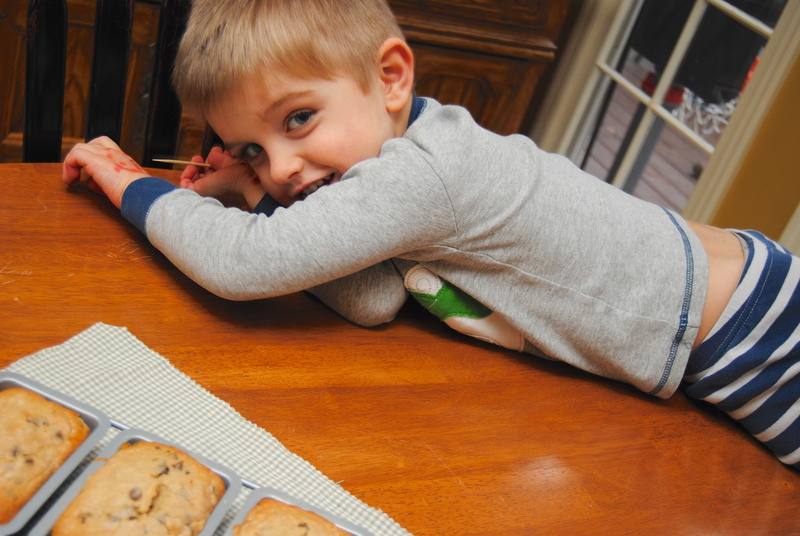 My little photo shoot helpers… can you tell they were ready to eat? 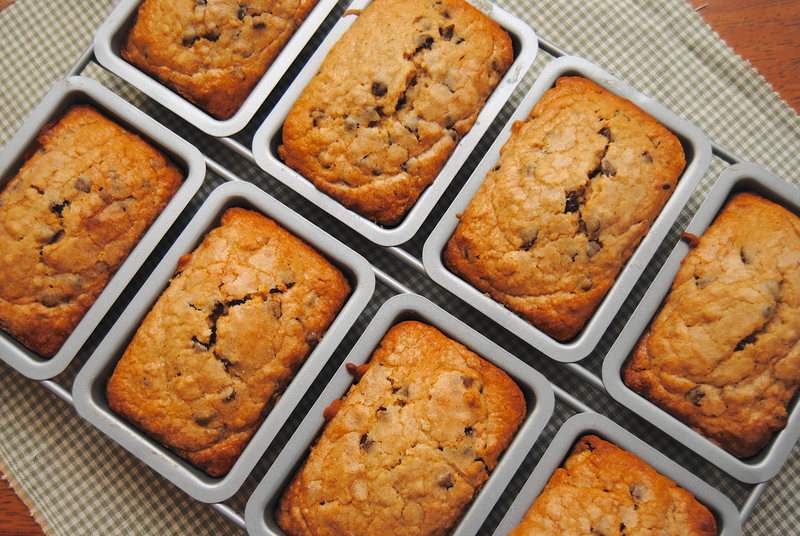 This entry was posted in Food and tagged Banana bread, Bread, Breakfast, Butter, Buttermilk, Chocolate chip, Honey, Kid-approved, Mini loaf pan, Peanut butter by biscuitsncrazy. Bookmark the permalink. I’ve had my eye on one of those mini loaf pans for a while! Those look delicious!